Once upon a time (about two years ago), we wrote about the escalating homeless problem in San Francisco as the main concern in the once picturesque city, which locals (or Democrat politicians) seemingly didn’t want to address. By simply turning a blind eye to the problems (the staple of a Democrat run city), things got much worse under Barack Obama, and thus, San Francisco has now possibly hit the point of no return. Two years after pin pointing the oncoming decay of San Francisco, things have now really got out of hand, due to decades of Democrat rule. In foresight, one could sense that things were bad, but residents and politicians were willing to overlook the problem, and now, San Francisco is in the midst of an unprecedented drug and human faeces epidemic on an apocalyptic scale, brought on entirely by the homeless people that reside in the city. 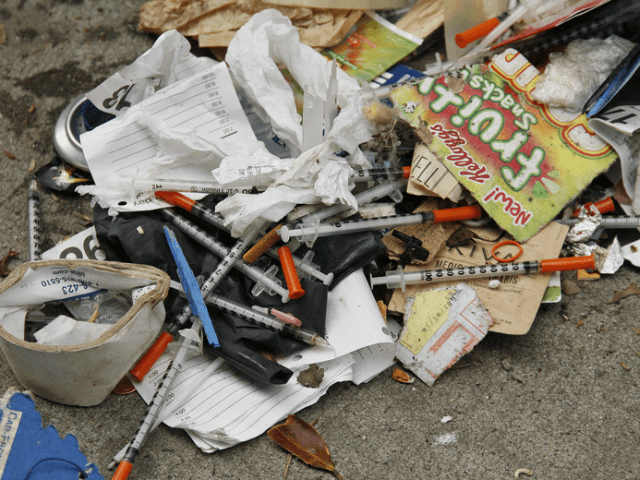 To add to that, the rampant drug use seen across the city, with discarded needles strewn across many neighbourhood streets is very much becoming a health hazard and a danger to the law-abiding public. Furthermore, recently a planned medical corporate convention decided that they no longer want to hold their convention in the “city by the bay”, because they no longer considered it safe. The extent of human faeces littering the streets is unfathomable, and with a reported 12,000 used needles collected from the streets each month, it seems like a new cleaning system will have to be implemented in order to save the city and reverse the current damage. To further grasp the extent of the situation that San Francisco finds itself in, NBC reported in February about the rising drug and hygiene problems. Let’s take a look at the NBC special report on San Francisco. However, it isn’t just the excrement on the streets that are a navigational health hazard, but also the drug use. Two days after Breed was elected into Mayoral office, she took a walking tour of the city, during which she encountered somebody publicly shooting up drugs with a needle. Over 20,000 faeces complaints were registered in the last month, and many homeless encampments are becoming a problem across Californian cities, which is most notable in parts of San Francisco, as well as Los Angeles. “Please move them, and send a cleaning crew. Sidewalk is impassable, forcing pedestrians into the street” another user wrote. “Homeless individuals sleeping along Funston between Clement and Geary” another user added. “Observed homeless people shooting up at 5pm on Monday, July 2nd. Lots of feces and garbage in the area. Please clean up area and see if homeless individuals need services” another Geotag post read. “I come from a third world country and it is not as bad as this” said another visitor. 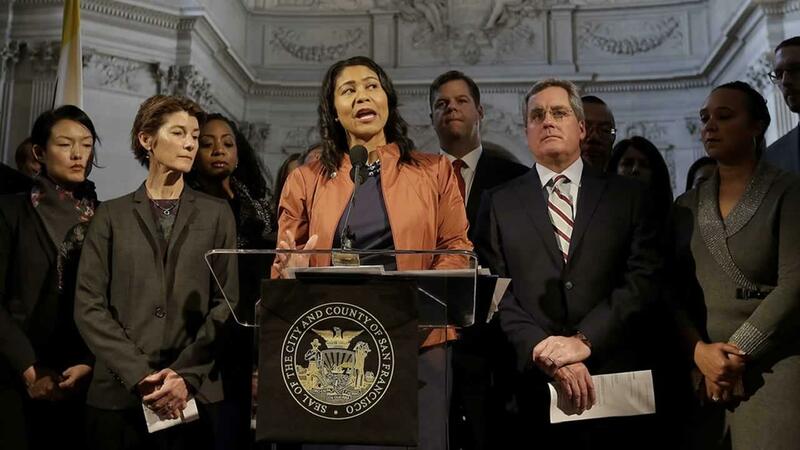 Mayor London Breed hopes that within communicating with non-profit organisations to the homeless community, and erecting “safe shoot up” zones, this may help to solve the current social problems that San Francisco now faces. However, we firmly believe that San Francisco probably needs somebody in the caliber of Rudy Giuliani as Mayor, in order to get San Francisco back to its former splendour.